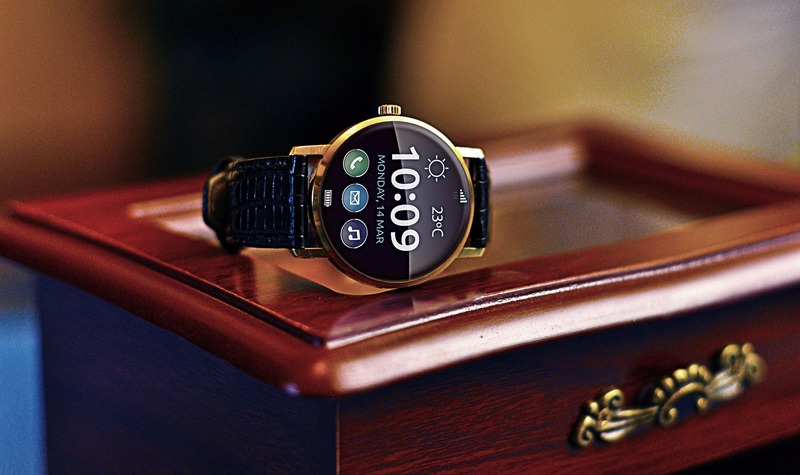 Hybrid Smartwatches are the perfect mashup of classic watch elegance and modern smartwatches designed for activity tracking and connectivity. Which is why, they have become a constantly evolving niche in the wearable technology segment. These days, fitness enthusiasts who want to get the best of both worlds with wrist wear that’s both smart and elegant can choose from plenty of spellbinding designs. But, therein lies the problem. A gamut of new brands have seeped in that are all vying for the tag of the next best hybrid smartwatch. Despite the heavy influx of new entrants, we scoured the web to pick the best hybrid smartwatch for you! Our review of the 15 best hybrid smartwatches is a cut above the rest in terms of brand value, smart features, comfort, beautiful design, and of course, ease of use. So, without further ado let’s begin the countdown of the best hybrid smartwatches on the market right now! 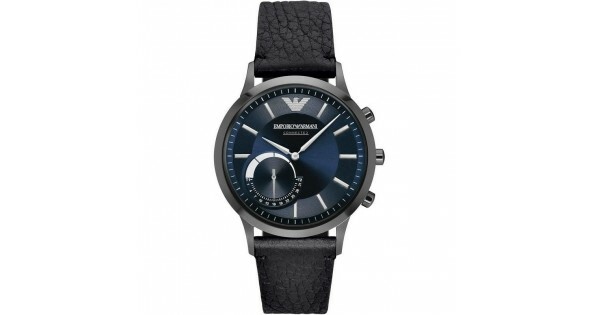 Emporio Armani wearables have their own novelty factor and the latest hybrid smartwatch addition vindicates Emporio Armani’s high-end collection charm. Especially for fitness enthusiasts who want to wear their style on their wrist, this smartwatch is as seamless as it gets in terms of feel, comfort and prestige. Not to mention, the Emporio Armani Connected smartwatch can also pair and sync with your smartphone effectively and even push out discreet notifications thanks to a smart app. This wearable is the best hybrid smartwatch for someone who likes getting notifications on the go, or frequently uses fitness tracking apps. The Emporio Armani Connected Hybrid does away the need for all those apps and acts as the one-stop solution that doubles up as your health partner and looks after your health and fitness. 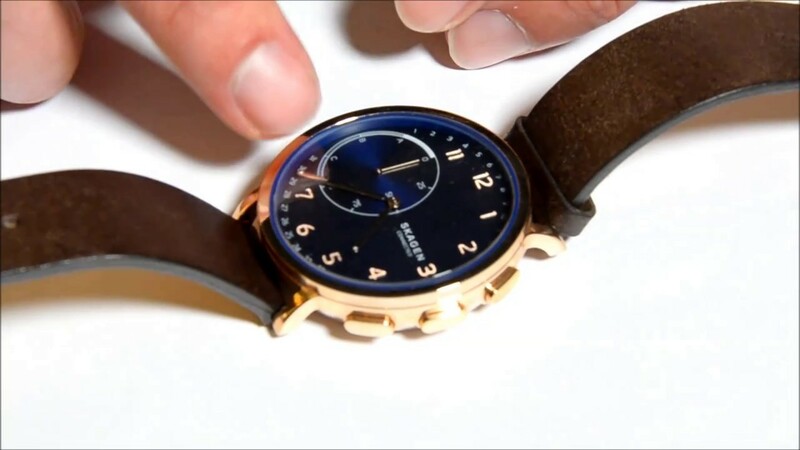 Interestingly, even though this wearable looks like an analog watch, you won’t have to worry about setting the time as it automatically chooses the correct time (based on your time-zone) once it connects to a smartphone. To top it all, this nifty smartwatch is water resistant and proffers up to six months of battery life. So much so, on the design front, you can choose from a wide array of strap styles and case colours to go with your dressing style. Perhaps the best hybrid smartwatch on our list if you are a fan of smartwatches with a dash of analog flair thrown in for a good measure, Kronaby can be counted as an enticing high-end wearable. The highlight of Kronaby lies in its “smart” features that are a notch above the rest. For starters, you can avail vibrating buzzes for notifications, control music playback and even take smartphone pictures remotely! Also, Kronaby is capable of tracking your steps (the distance you have covered on foot) and thus keeps a tab on your fitness levels. Insofar as the comfort quotient is concerned, Kronaby sits flush to your wrist no matter if you are a male or female thanks to its sleek built. Speaking of built, the material used in this smartwatch’s body is quite high-grade keeping in mind luxury watch aficionados. Moreover, Kronaby also boasts a nifty personal safety feature that lets users send out details of their current location to assigned contacts at the press of a button. So much so, there is also an addition of IFTTT support to pair your hybrid smartwatch with a smart home kit. All together, Kronaby will suit fitness enthusiasts who prefer a sportier sense of style. If a person ever sought the perfect balance between a wearable tech product and a luxury fashion product, the Garmin Vivomove HR would take the cake hands down. Don’t be fooled by its relatively “low-end” price tag, the Garmin Vivomove is every bit a formidable smartwatch worth more than its cost. 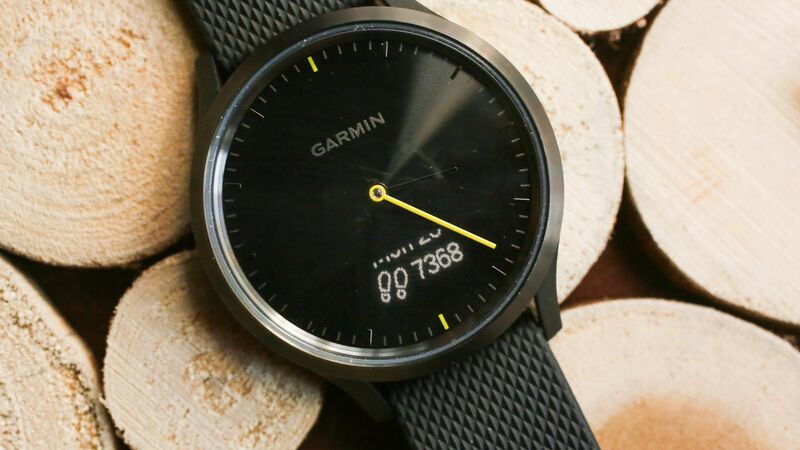 It features the trademark discreet display that only appears when you tap on the watch face. Not to mention, it is also waterproof up to 50 meters so you can go for a nice swim whilst flaunting your style quotient. On the smart features front, you get to view notifications, suss out your activity tracking data, and even have a quick look at your heart rate readings after a tiresome workout, winding swim session or a long exhaustive trek up the hill. Heck, you would be in awe of the Garmin Vivomove HR’s stylish and sleek body (the dial vaguely resembles a smartwatch) all the time. However, the battery life of this gorgeous watch will last two weeks in watch mode and one week tops if you are fully utilizing its smart features. All in all, Garmin Vivomove HR will certainly entice fans of mid-range hybrid watches, even though at first glance it looks just like an analog watch, but under the hood sports some really snazzy features. Donning a stainless steel casing, silicone straps and chrome hands, the Nokia Steel HR also features a dynamic digital screen to view smartphone notifications and track your activities. That is a huge plus for users with sight issues since they won’t have to literally gouge their eyes out to navigate the watch. Ever since Nokia took over the Withings brand, speculation was rife that the design of the ertwhile Withings smartwatches might change. 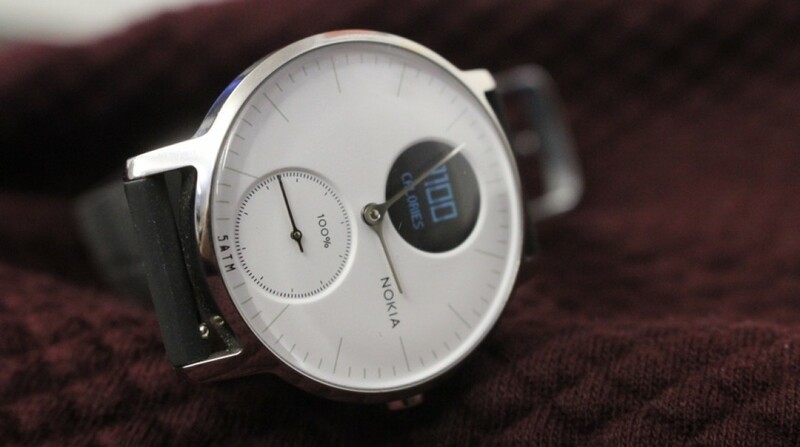 Luckily, the Nokia Steel HR just got a few minor changes over the Withings Activité Steel. But, there are a gamut of other smart features that make Nokia Steel HR a robust hybrid smartwatch. For instance, you can make use of its heart rate monitor during workouts or physical excursions outside. The battery life lasts for up to a month and you can choose from two different watch case models. 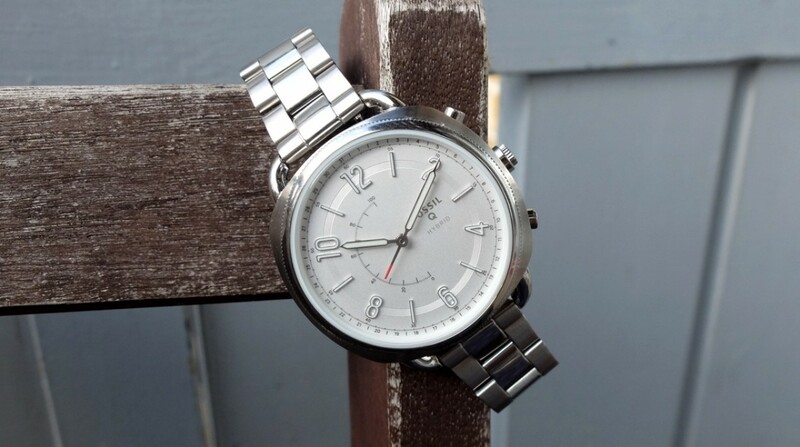 All in all, the Nokia Steel HR is a trendsetting device that fits daily use and is quite comfy to wear. With its mashup of a modern, clean outlook coupled with a modest price, the Nokia Steel HR is firmly poised to be one of the finest top-tier smartwatches of this year. What would a list of the best hybrid smartwatches be bereft of a hybrid smartwatch for iPhone users? 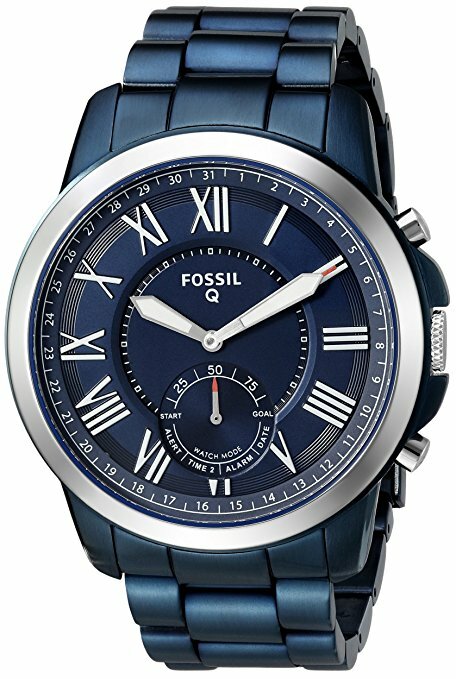 Classy, lightweight and sleek with a 40 mm stainless steel case and a beautiful strap donning a slick stainless steel finish, the Fossil Q Accomplice is quite a looker built in mind keeping the aspirations of iPhone users. This elegant wearable is endowed with all the smarts that are the hallmark of the best hybrid smartwatch. It is endowed with three buttons on the side that are used for controlling music playback, taking selfies and the usual smartwatch fare: starting the stopwatch, changing the timezone, ringing the phone or showing the date. However, activity tracking is kept to a bare minimum so fitness enthusiasts might be a little iffy about this smartwatch. Also, there is no provision for reading notifications on it although you will be intimated via a vibrating buzz and a blue LED lights up if someone is trying to message you on WhatsApp or there’s a notification on Instagram. 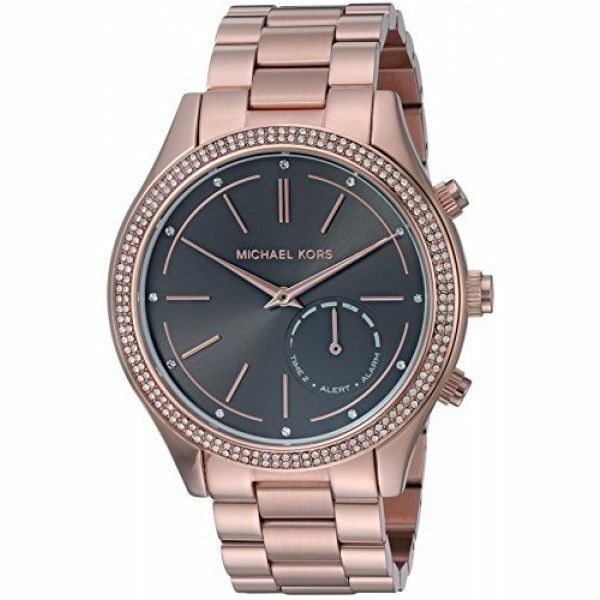 The Access Slim by Michael Kors is not on the higher price spectrum, but that doesn’t mean that this smartwatch is a basic one. On the contrary, it looks every bit high-end and retains the reasonable heft and size of an analog Michael Kors watch. The highlight of this smartwatch has to be its smart features and a drool-worthy gold finish. It can track your activity, keep a tab on your sleep and push out notifications from your smartphone. Moreover, the Access Slim Runway smartwatch boasts a 42 mm gold-tone case, and comes in a plethora of varied finishes with stainless silver being a lucrative alternative. Overall, if you are a fan of bling and some smart goodies, the Access Slim Runway watch is worth its weight in gold. 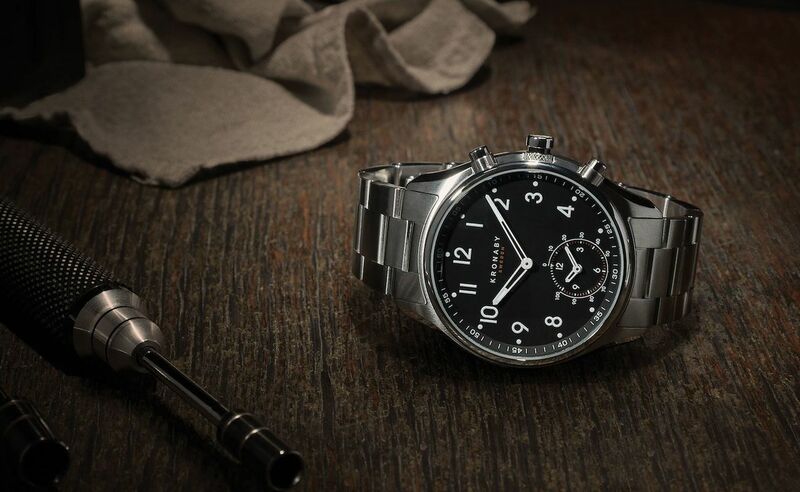 Featuring a stunning dark brown dial and a 42-millimeter stainless steel case with a stealthy silver finish, the Fossil Q Commuter hybrid is the quintessential hallmark of style and substance. However, what makes it the best hybrid smartwatch for fashionistas is its ability to deliver smartphone notifications, activity and sleep tracking, and automatic time-zone synchronization. Moreover, removable battery on Fossil Q Commuter can last up to a year. You can also choose from a wide range of variants with fancy mesh leather straps in colours such as goldtone blue or opt for a smoked stainless steel strap that looks splendid. If your quest for the best hybrid smartwatch doesn’t have any monetary restrictions, then the Breitling Exospace B55 is a nifty smartwatch that was intrinsically designed for professional pilots, but rolled out for everyone considering its panache. Some of its highlights include a powerful chronograph and a superior Super Quartz movement. Wondering what makes it a formidable modern smartwatch that’s worth the money? It can seamlessly connect with your smartphone and proffers timekeeping data through a dedicated mobile app. And, yeah it is very compact, and an all-weather companion. Marvellous is the first word that comes to mind when you take a gander at the Swiss-made Alpina Seastrong Horological smartwatch. 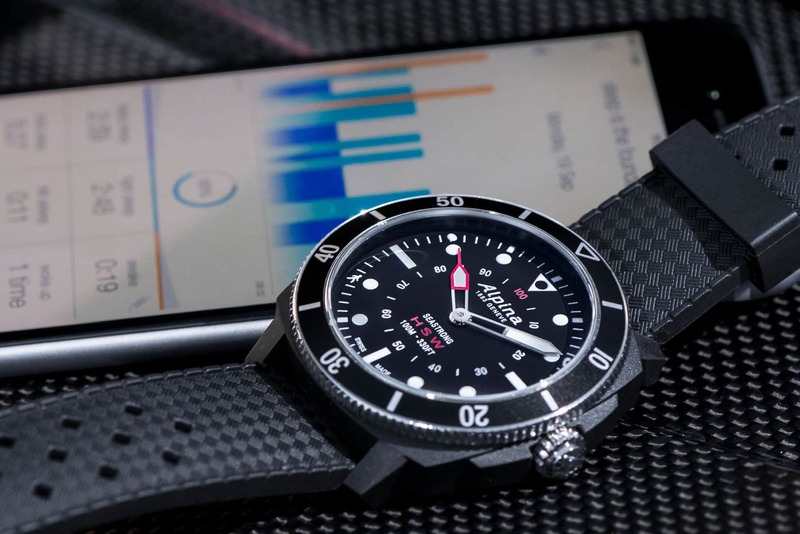 It is a fusion of state-of-the-art smartphone integration and an elegant diver watch design that has a hypnotic groove to it. What can it do for fitness freaks? This smartwatch automatically keeps a tab of your time-zone, discreetly tracks your activity and sleep cycles and pushes out call and email notifications, albeit quietly. 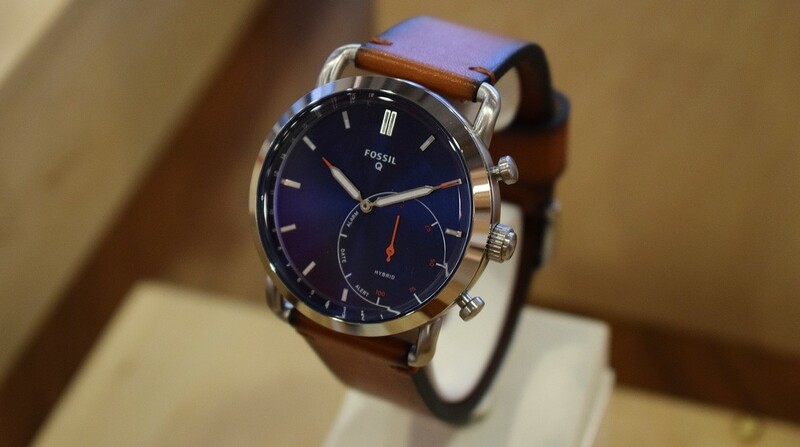 One of the cheapest smartwatches on our list, that has nonetheless all the elements that define the best hybrid smartwatch, the Fossil Q hybrid boasts a 44-millimeter stainless steel case with a slick blue finish. 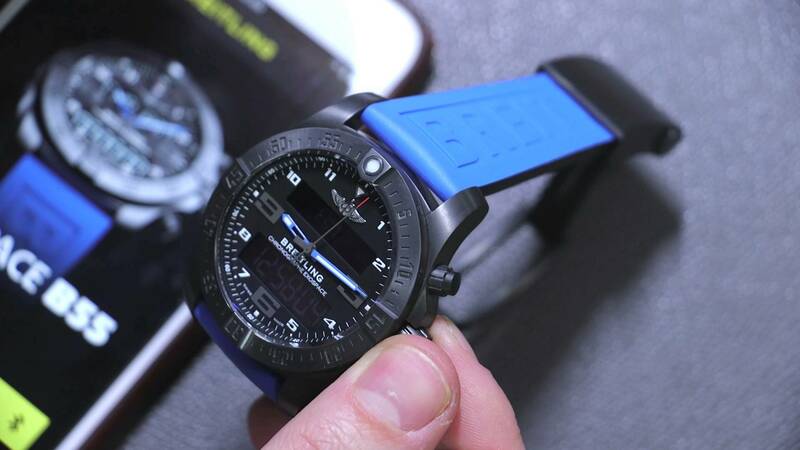 Also, this smartwatch is highly customizable thanks to its compatibility with all 22-millimeter straps. So much so, it comes with up to six months of battery life. On the smart features front, the Fossil Q Hybrid can deliver automatic time-zone synchronization, push out smartphone notifications, and effectively keep a tab on your activity and sleep patterns. 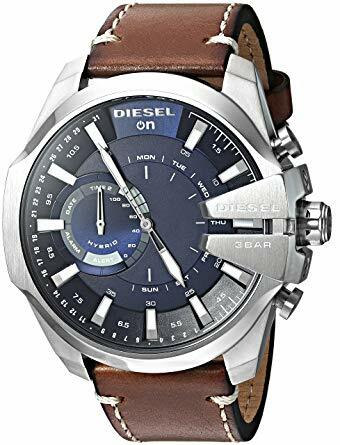 Another solid hybrid smartwatch from the Fossil group, The Diesel On Time hybrid smartwatch has a sturdy and rough look and boasts standard connectivity features. We are talking about the usual fare such as the ability to send you notifications from a synced smartphone, automatic time-zone synchronization, and last but not the least: track your activity and sleep. In fact, the Diesel On Time Smartwatch’s battery is replaceable after a period of up to six months. 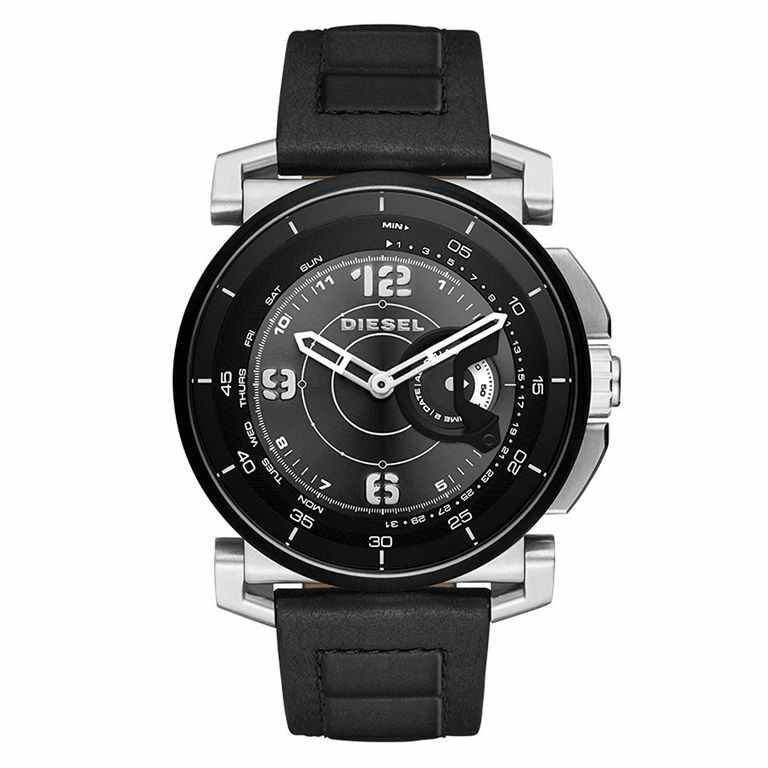 Boasting some serious in-your-face looks, The Diesel Mega Chief is the best hybrid smartwatch for suave tech fiends. It has the ability to send you notifications from a paired smartphone, track your activity and sleep, and is equally deft at automatic time-zone syncing. 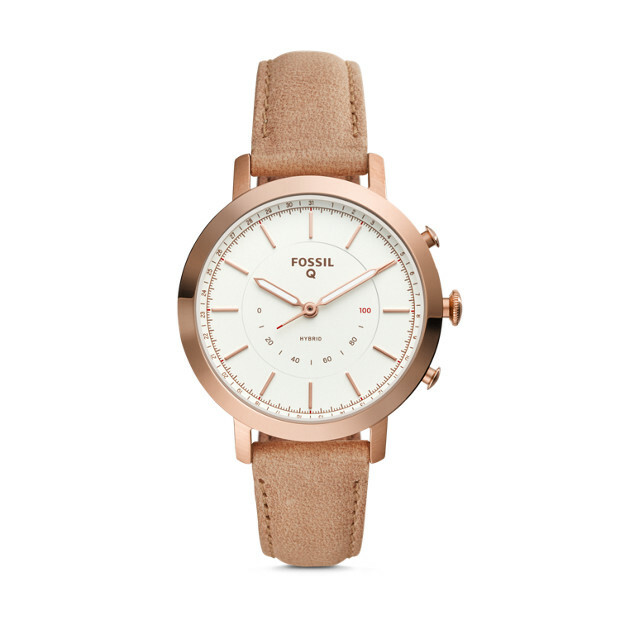 The leather strap gives it a more analog feel especially when paired with a robust stainless steel-esque dial. Moreover, the replaceable battery of Diesel Mega Chief can last up to good full year! This affordable hybrid smartwatch has been designed keeping female techies in mind. A beautiful 36-millimeter stainless steel case and a super slim 16-millimeter leather strap, which’s easily interchangeable, add a dash of elegance to this watch. All you ought to do is to pair it with an Android smartphone or iPhone, and receive notifications on the go, track your activity and sleep, as well as seamlessly sync with your local time zone. There is also a dedicated hand that shows your progress rate towards daily activity goals. You can also choose from an array of attractive leather straps ranging from cabernet leather, to bone leather. Rounding off our lineup of hybrid smartwatches is the Skagen Hagen Connected which is the epitome of the best hybrid smartwatch thanks to its stainless steel built, classic blue dial with rose gold-tone finish and a pleasant mesh leather bracelet. It also comes in other variants that sport a metal-clad bracelet. On the smart features front, the Skagen Hagen can show smartphone notifications, carry out activity and sleep tracking and automatically sync itself with any time-zone you are in. 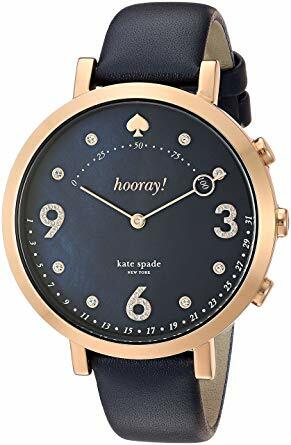 Fashionable looks are the strong point of this watch considering it is a Kate Spade product. But, it is equally capable at tracking your sleep and fitness regimen and sending you smartphone notifications on the go. What’s more, this snazzy timepiece is available in a gamut of dial finishes and mesmerizing cases that ooze finesse. And…that’s a wrap! We are sure you managed to find the best hybrid smartwatch for yourself after going through our list. If you know of any hybrid smartwatch that should have made it our list, let us know in the comments.